The growth of the Myrtle Beach real estate market has been fueled by the many families that have relocated from another area to make the Grand Strand their home. It is apparent that this area is gaining in popularity because of the many "new home" communities that have sprouted up over the last decade. Even today, you will see that New Homes in Myrtle Beach are amongst the most popular purchases for those moving to the area. There are many reasons why purchasers are choosing new construction over resales. Here are the four reasons why you may want to choose a New Home. 1) You are the FIRST and only owner of the home - A lot of purchasers are proud to know they are the first owner of a clean and shiny home. It's Exciting! 2) Low Maintenance - It is usually about 5 years into a new purchase when you start to have to repair and replace different things. When buying new construction, you have less chance of dealing with costly repairs for a long time. Peace of Mind! 3) You can choose what you want in the New Home - You don't have to accept the home 'As Is". You decide the colors, the cabinets, countertops, appliances, carpet and more. Freedom of Choice! 4) The EIA, or US Energy Information Administration did a residential energy survey, and found that homes built after the year 2000 were on average 30% larger than the older ones, yet because of building codes, were more energy efficient. (better insulation, leakage of heat and air conditioning vents, and better windows and doors) In fact, they used the same amount of energy for nearly one and a half times the square footage. Better for the environment! 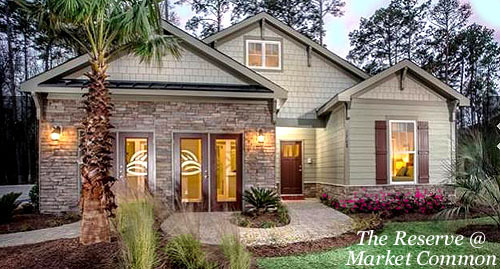 All of The Harrelson Group agents are knowledgeable of the various new home communities in throughout Horry and Georgetown Counties. Browse through our website and let us know when you would like a private tour of new homes. We'll try to keep up to date on the most popular new developments so you'll be the first to find them! Latest News! 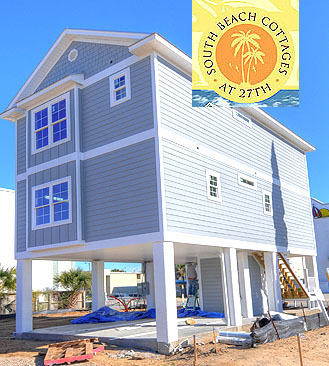 See our brand new website for New Homes in Myrtle Beach!